Is the thought of being overweight and unhealthy because of your job haunting you, as it should? What if you could build muscle, gain strength and improve your fitness without spending more than 30 minutes a day working out? Years ago, did you think that you would wake up to a screaming alarm, work for 12-16 hours a day, and then come home, only to have enough time to eat and sleep? Tired, frustrated, and struggling to make any time for yourself, let alone exercise. What if you could turn your life, your body, and your fitness around in just 3 months? Imagine a life where you followed a simple, yet effective exercise program that conformed to your busy schedule. A workout program that could help you build or tone your muscles, without spending any more time than you need to at the gym. This isn’t a dream. You can build a healthy body, even if you think you don’t have time for it. I remember when I started medical school, I was told that I wouldn’t have time to exercise or be healthy. Everyone knows that medical school is challenging, and requires a lot of discipline, and a lot of time. Thankfully, despite what they said, I was able to maintain my fitness routine. Now, fast forward to residency. I was not at all prepared to work 80 hours a week, 24-hour shifts, and do night shifts for 4 weeks at a time. Needless to say, it is extremely difficult to exercise, let alone take care of yourself with this kind of schedule. You probably have a really busy life too. Perhaps you work two jobs, or you have three kids, or you are working on a startup. No matter who you are, you’re probably struggling to make time for exercise. The good news is, there is only one thing you need to do to workout and maximize your fitness despite your busy life. And today, I’m going to share with you the blueprint that can help you build your best body. 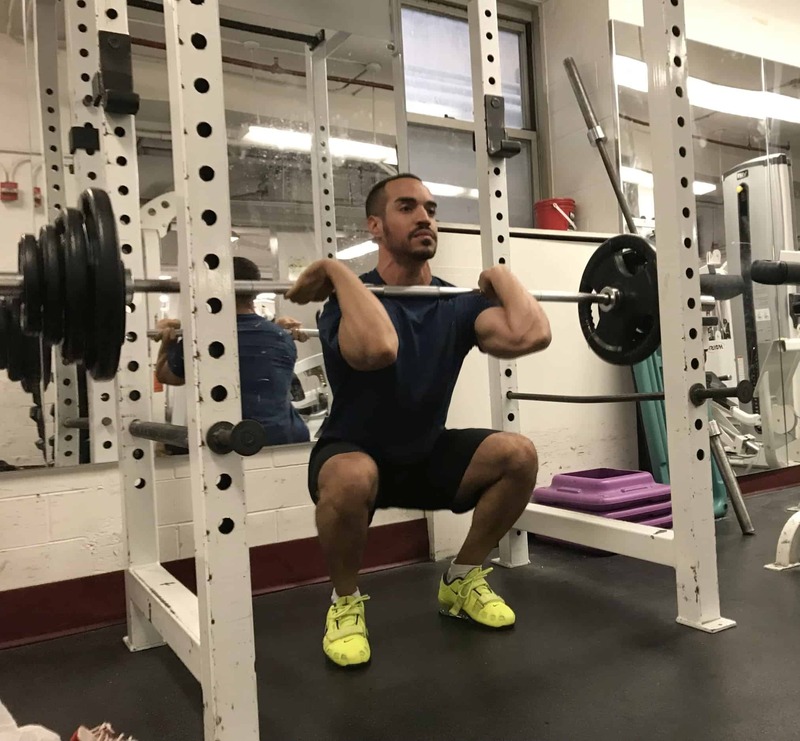 We are fitness enthusiasts and we spend a great deal of time learning and implementing different workout strategies to find out what works and what doesn’t. Currently, we work out 4-5 times a week and have experienced significant improvement in our fitness, even with our resident schedule. But you might be surprised to hear that I struggled to exercise when I first started residency. As you could imagine, residency was a huge shock to my system, and it quickly put a halt to my fitness progress. I simply didn’t have a lot of free time outside of work to maintain my fitness routine. I started to lose muscle, strength, and confidence because I didn’t know how to maximize my time at the gym. I just couldn’t afford to spend 60 minutes in the gym. I barely had enough time to do my basic activities of daily living. 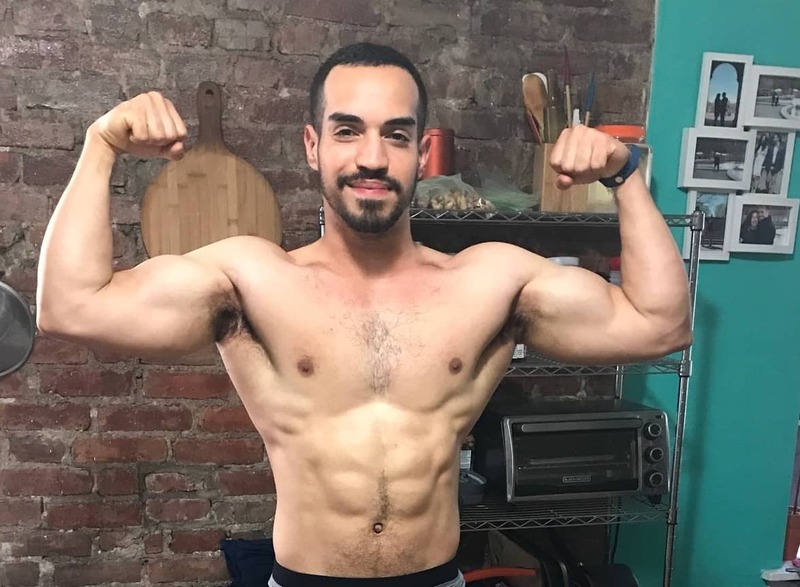 After a few months of stalling and losing progress, I found out how to maximize my workout and spend less time in the gym. Most people believe that you need to go all out to realize improvements in your fitness. Instead, I discovered that you can get a lot of work done in a little bit of time. I realized that all I had to do was create a high-yield, flexible training program that could be done in as little as 30-35 minutes a day. 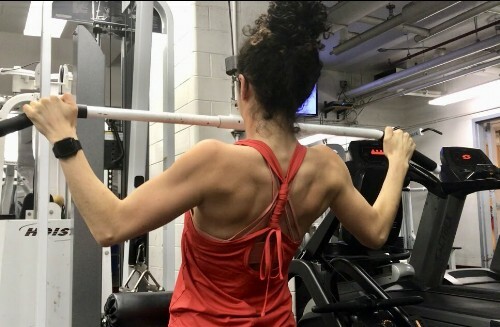 I turned this “light bulb” moment into a system that propelled my fitness even further, despite working three times as much as I did before starting residency. I went from working out 3 times a week pre-residency to 4-6 times per week. Where most people tend to gain weight, I wound up losing 5 lbs of body fat and developed more muscle mass. I even increased my deadlift by 25 lbs, my front squat by 35 lbs, and my paused bench press by 10 lbs after my second year of residency. PS. If you aren’t interested in lifting heavy weights like shown above, that’s ok! You don’t have to. And this is how I looked after my second year of residency (which is the toughest year in OBGYN). And here is Brittany’s progress during the same time. She wasn’t yet a resident at the time, but used the exact same training principles. (I know, because I made her programming). Here she is squatting 1.5x her bodyweight for several repetitions, and making incredible progress on her chin-up strength. Prior to this new style of training, her best squat was 1.1x her bodyweight, and she could only do 1 chin-up. This is not to brag, but to show you what’s possible when you know how to implement an effective training system. A lot of what many fitness sites recommend simply isn’t realistic for us busy folks. The methods and strategies they recommend require a lot of time, complicated training algorithms and a lot of exercises. Instead, you need a simple training plan that could be accomplished efficiently. So if you are serious about improving your fitness while working 80 hours a week, the one thing you need is a system to help you do exactly that. Because once you have that, you’re set. If there’s so much free fitness information online, why aren’t you exercising consistently? Why do we claim to want to exercise, eat healthy and get toned – and even find free workouts online- but we struggle to actually put the information to use? Because I was in a similar situation when I started my fitness journey. Because we don’t know where to start. Because we don’t have a lot of time and we cannot afford to waste any of it. And to top it off- there is a lot of misleading information out there. I used to believe this myth too. In fact, when I was in college I used to spend 1.5 to 2 hours at the gym. I always thought that more was better. Thankfully, that is not the case. There is only so much “more” you will ever be able to do. You decide to just cut back, and ultimately stop working out altogether. A month later, you repeat the process until one day you just give up. Working out is when you go to the gym and just do whatever for 60-90 minutes because that’s how long you are supposed to be training for. There is a big difference between working out and training. When you work out, you simply do whatever you feel like doing that day. There is no plan. There is no specific goal. This is not how you make progress. What you need to do is train, i.e. have a focused plan every time you go to the gym to get you closer to your goals. In addition, this plan should aim to do the workout as efficiently as possible. That is why you need a template that is designed to tell you what to do and how to do it so that you can spend less time at the gym, and focusing on getting results. We have all seen people advocating that you do 4 different variations of bicep curls, for hundreds of reps to get bigger arms. Or, you have seen routines that ask you to perform 10 exercises each day, all for 4 sets of 12 repetitions. It must be better to do a lot of exercises every day right? Before residency, I would fit 8 exercises into my routine because I wanted quicker progress. Sure, I was making improvements, but I was also running myself into the ground. Needless to say, I felt burnt out. Once residency started, I didn’t have the time nor the energy to do so many exercises. When I realized that I had to make my workouts more efficient, I cut back on all the fluff and only focused on the exercises that matter. The exercises that were going to give me the biggest return on my investment. Have you ever missed a workout session, or two and then lost motivation to continue because of those missed sessions? It’s natural to think that if you “fall off the wagon”, you might as well stay off. In fitness, something is always better than nothing. As a busy professional, you likely have an unpredictable work schedule, and it is difficult to conform to a rigid training routine or an “exercise class” schedule. Whenever you have a really busy week, and you might miss three workout sessions in a row. If you have a training template that is flexible, you do not need to worry about missed sessions. You can easily make up for it and keep on going! Fitness can be scary. Like you, I held all of these beliefs. But I’m here to tell you that you only need to take one step at a time. No one makes amazing progress in 1 week! This is the strategy that most people take… and it hurts them. Sure, you can try to put the pieces together from various different magazines, youtube videos, and online articles. But this would take months to figure out. As I’m sure you’ve seen firsthand, fitness information you come across online is often conflicting, misleading, (and quite often), flat out wrong. All of this conflicting information makes it almost impossible to turn the content you find online into a training program for a busy professional such as yourself. You also probably don’t have the time to do this either! I already did all of the hard work for you. I have been studying this stuff for over 10 years, and I have found a way to keep making progress despite working 80 hours a week. This option is like buying lottery tickets. Sure, you might find one that you get some value out of, but more often than not you are getting a generic trainer with very little practical utility. After all, it doesn’t take much to become a personal trainer. And even if you find a reputable one, you are looking at paying some serious money for something you can do without. (Plus, you will have to actually schedule workouts with the trainer, and both you and I know that with your schedule, that’s not gonna happen). 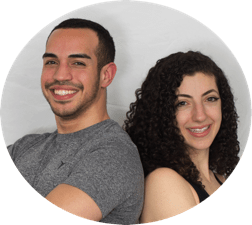 I’ve developed a training program for busy individuals that cuts out the noise, fluff, and conflicting advice and shows you how to start exercising in 30 minutes a day, even with an 80 hour work week. I know you may think that you can figure out how to exercise and improve your fitness on your own. And hey, maybe you can. The problem is: It takes a long time, and as a busy individual, you probably don’t have the time to do it. Those are hours that you could spend actually working out and improving your fitness by following a step-by-step template. And if you are okay with continuing to get poor results, and lose motivation, then by all means, keep doing it. But if you are tired of not taking action, and you are ready to invest in yourself, don’t wait. It’s time to make the investment.